The Grateful Dead said it best. 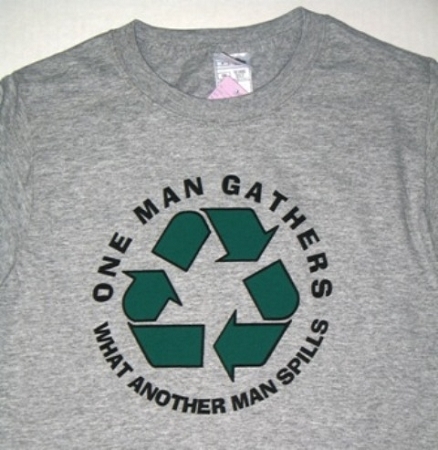 One Man Gathers What Another Man Spills. A classic message on a Fruit Of The Loom Heavy Cotton Grey T-Shirt. 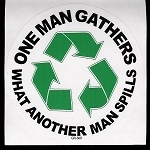 Lets all recycle just a little bit.